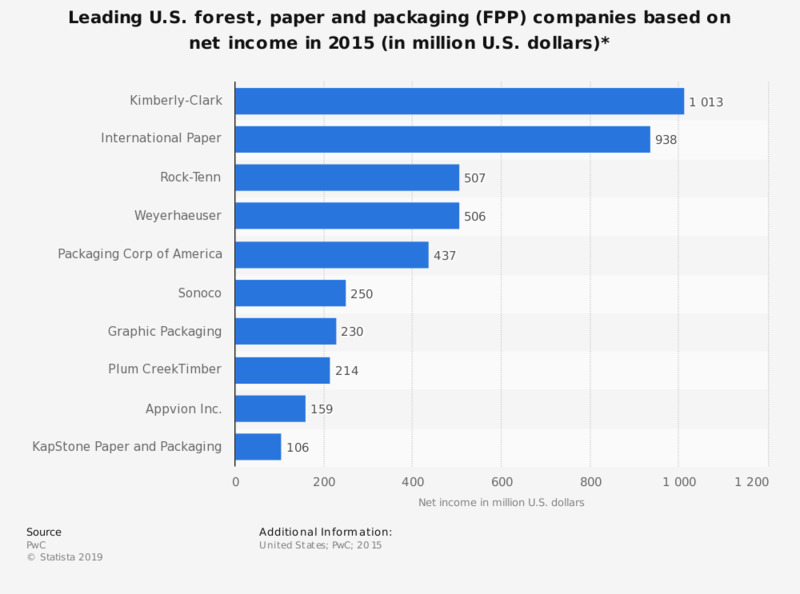 This statistic shows the leading forest, paper and packaging (FPP) companies in the United States in 2015, based on net income. Kimberly-Clark was ranked first with a total net income of about 1.01 billion U.S. dollars. * Graphic Packaging, Schweitzer-Mauduit and Potlatch each generated a net income of approximately 90 million U.S. dollars in 2014.